Our Deli is not just a Deli! in addition to all the authentic favorites like Corned Beef, Pastrami and home made salads we prepare fresh dishes every day. There is always something new cooking. Full service catering for all occasions. We have been catering events in the New Haven area for over 12 years, Bar-Mitzvah to Weddings weve been there. Contact us to cater your next event. We have a variety of fresh meats and poultry cut and packaged fresh daily. 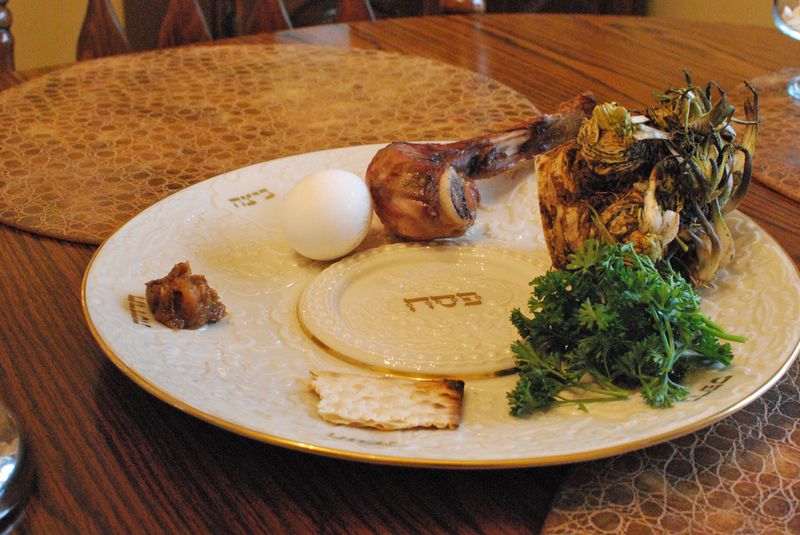 Glatt kosher. 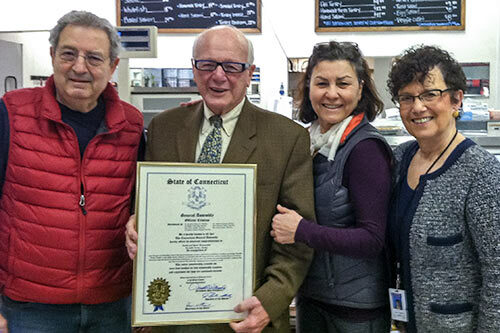 State Senator Joseph J. Crisco, Jr. (center-left) and his legislative aide Linda Towbin (right) present a legislative citation to Rachel (center-right) and Yuval (left) Hamenachem in recognition of their 30 years of outstanding service to the Jewish Community at Westville Kosher Market. 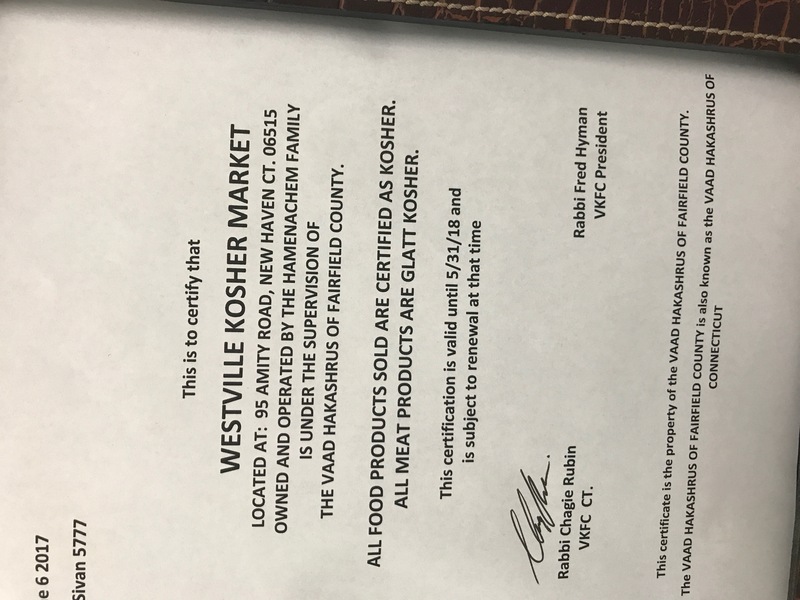 The Westville Kosher Market was established in 1985 in New Haven, Connecticut by Rachel and Yuval who are third generation family members to be in the food business. 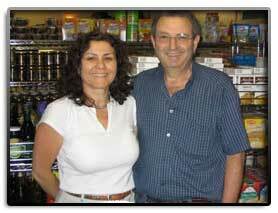 Westville services the New Haven and surrounding communities as a kosher meat market and full service deli. Westville Kosher Market offers a large variety of fresh cut meat and poultry as well as an array of homemade foods prepared in a traditional Israel/Jerusalem style. Additionally, Westville Market bakes fresh, delicious homemade breads and Middle Eastern desserts. Catering is also available for parties and other occasions such as bar/bat mitzvahs, kiddushes, shiva and weddings. Stop by and experience the freshly prepared specials for eat-in or take-out in a friendly and individual atmosphere. © copyright 2016 VRE Inc.